Full Dash Masternode Setup Tutorial: My Best Investment Ever in a Crypto Currency! Home/Business Video Tutorials/Cryptocurrency Trading/Full Dash Masternode Setup Tutorial: My Best Investment Ever in a Crypto Currency! Will you watch this complete Dash masternode setup and launch tutorial to see how to make money mining Dash? My best investment ever is a Dash masternode which has grown from $11,000 to $80,000+ in value in three months! You get EVERYTHING in this video to duplicate that for yourself! What is Dash? Dash is like digital cash or an upgraded Bitcoin with truly anonymous and instant transactions possible! What makes Dash awesome as a currency online or cryptocurrency or alt coin? DASH PAYS MINING REWARDS TO MASTERNODES! Dash has masternodes which require 1000 Dash and pay out mining rewards every week or two along with voting on budget proposals. In learning about Dash’s features, I felt it was undervalued and had better potential than most of the other crytocurrencies! In taking massive action, I sold everything on Poloniex into Dash to get enough for my masternode. At the time, this cost about $11,000! Just 3 months later, my investment is now worth around $70,000 and I think a lot more upward potential is possible because Dash has half the number of coins as Bitcoin while the price even at $70 is nowhere near the $1200 of Bitcoin currently! WILL YOU LEARN WITH ME TODAY HOW TO MAKE YOUR OWN DASH MASTERNODE? 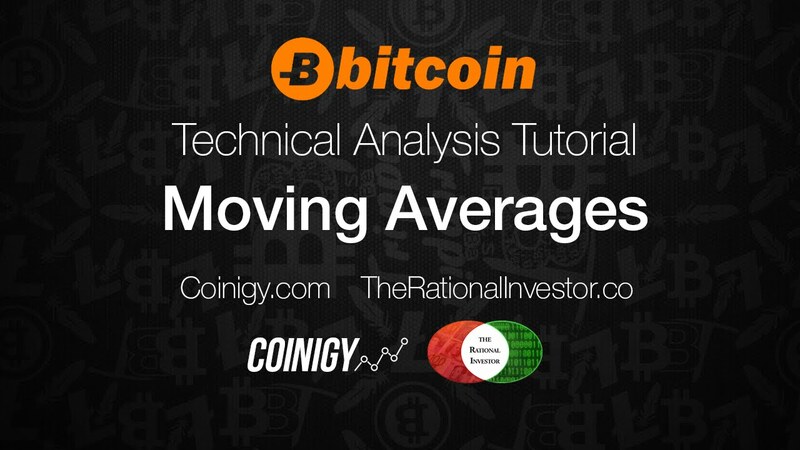 Watch this video to start from knowing nothing about any cryptocurrency like Bitcoin and join me on a journey through one tutorial after another to see if you would like to join me as a Dash masternode owner! Click a timepoint below to skip to a specific video in this complete class! Enjoy all my Dash crypto resources at https://jerrybanfield.com/dash/. 12:46 What is a Dash masternode and why might it be the best investment for 2017? 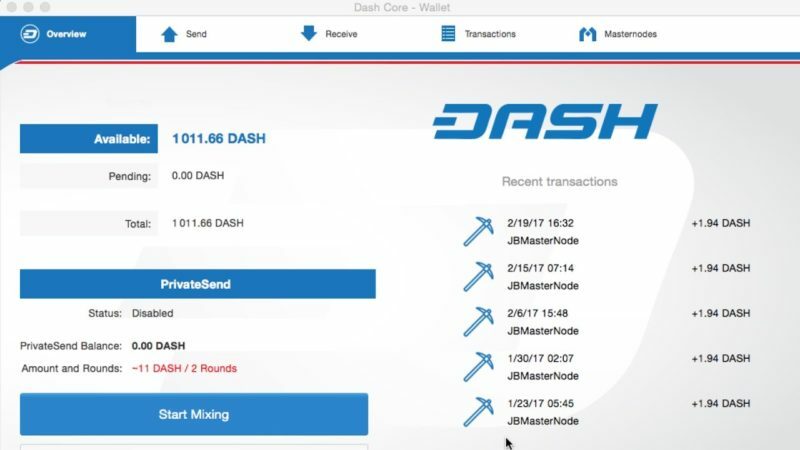 A Dash masternode helps with mining and processing of Dash transactions. Any DashCore wallet with 1000 Dash can setup a masternode. Dash masternodes earn mining rewards every week or two. Mining rewards are similar to dividends paid at 0.2% weekly. 24:45 Installation and basic use of a DashCore wallet for receiving Dash, holding the collateral for the masternode, and a basic description of PrivateSend and InstantSend features. 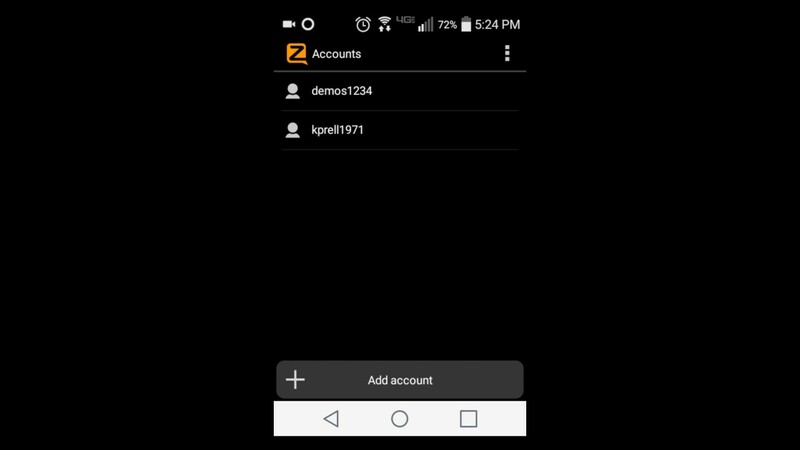 33:37 How to encrypt a Dash wallet and keep a Dash wallet secure in 12.1 including passphrase discussions? 48:22 Backing up and restoring a Dash wallet. 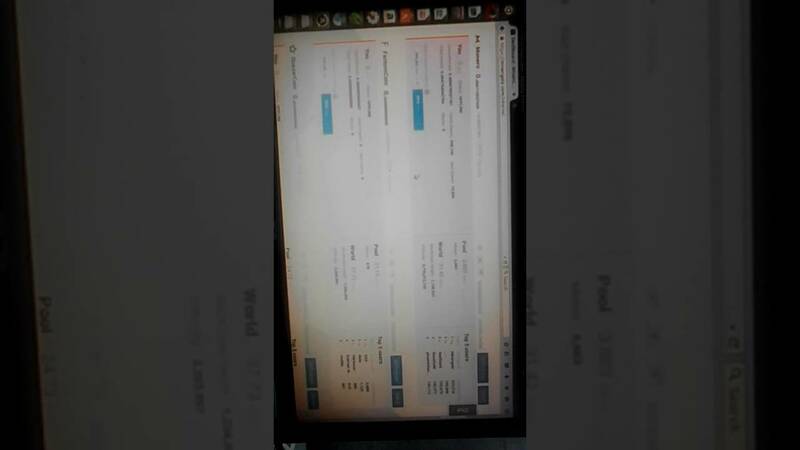 56:58 Buying Dash with Coinbase at http://jerry.tips/coinbjb and Poloniex. 1:09:24 Real time Dash buy using Shapeshift. 1:25:46 Change cash to Bitcoin and soon Dash with Wall of Coins. 1:32:17 Use 1000 Dash to create a public key for a masternode. 1:39:09 Node40 makes hosting a Dash masternode easy! 1:46:04 Step by step complete Dash masternode launch tutorial in Node40! 1:58:31 Submit a Dash budget proposal to earn Dash helping our community with advertising, marketing, development, public relations, and more! Thank you for watching this and I hope it is helpful! View all the links at https://jerrybanfield.com/dash/. More about Dash! Dash was originally released as XCoin (XCO) on January 18, 2014. On February 28, the name was changed to “Darkcoin”. On March 25, 2015, Darkcoin was rebranded as “Dash” Dash was formerly known as Darkcoin and XCoin. Dash is an open source peer-to-peer cryptocurrency that offers instant transactions with InstantSend, private transactions using PrivateSend, and token fungibility. Dash operates a decentralized governance and budgeting system, making it the first decentralized autonomous organization. Dash uses a chained hashing algorithm called X11 for the proof-of-work. Instead of using the SHA-256 (from well-known Secure Hash Algorithm family) or scrypt it uses 11 rounds of different hashing functions. Help me reach 250,000 YouTube subscribers at http://jerry.tips/250kyts. Get all of my HD video classes on Skillshare at http://jerry.tips/skillsha. PRICING for my SERVICES is at http://jerry.tips/isrvcs. WANT MORE YOUTUBE SUBSCRIBERS AND VIEWERS? Take my complete YouTube class for 2017 at http://jerry.tips/teachyt. DASH is nothing but hype. Anyone who has been involved in the space since pre 2011 knows this. DASH came around in 2014 as DARK coin. It uses a method of cryptography called "coin join". Very out dated and ineffective compared to other projects such as ZEC or XMR or STEEM ( STEEM will be implementing XMR privacy features down the line into social media). DASH uses coinjoin and XMR uses " ring ct" – do your research buddy. Welcome to the land of crypto. Awesome video…amazing thanks for taking the time. This is really a well done video from the first minute to the last. Dash is great best time to get in because it can hit 200. As a real DASH newbie, does this tutorial work the same on a Mac? O/T, Are you going to make any more Linux Videos? Thank you for watching the new version of this video because it includes an updated encryption and security tutorial plus showing how I actually launch my masternode inside Node40 as I move my masternode into a new wallet for this video! So, at current price, unless you have 70.000 USD, you cannot run a masternode ? Great stuff Jerry. Is there any other Alt-Coins that have this Masternode model similar to Dash? Great video, thanks for putting this together! A friend recommended your channel on how to setup a masternode, but I cant seem to find it. Can you share the url please? beware this guy is probably paid buy DASH masternodes are centralized and use outdated crypto known as coinjoin. Do YOUR RESEARCH EVERYONE. GOOGLE "COINJOIN VS RING CT"
Jerry, I bought 3 Dashcoin yesterday, but on my Dash-Wallet is still 0,00 DASH ! Could you maybe tell me, what is not correct? The more Masternodes running- the less revenue for each one? How do you sell a master node? Coinbase does not currently support buys in your country. Subscribe to our blog to be notified when we add support for your country!—– Any help on this Jerry? LOL! I did not expect to see this on this channel. Even though Dash is on a tear, I don’t think it’ll be the best performing coin this year.